The state of Maharashtra is currently considering private participation models for opening new medical colleges, to add around 100 additional MBBS seats. This development can be seen as a measures step by the state Education Minister after the state government’s proposal to open 6 new medical colleges had hit a roadblock with the Centre. 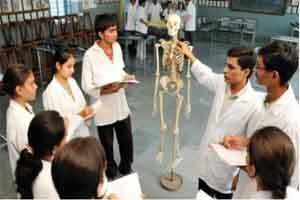 However, the Supreme Court (SC) has given an earlier clearance for starting the Chandrapur medical college. A joint management model will be followed by the state-private partnership model, with the government to provide the land, and infrastructure development to be taken care by the private investment. With currently 14 government medical colleges in the state, this is an ambitious target to open one medical college in every district. It will also make seeking admissions to medical colleges more accessible, transparent, and affordable. The state has, however, received permissions to start a 150-seat public college attached to the RN Cooper hospital at Juhu and a private medical college—Vithalrao Joshi’s medical college– with 100 seats has also been allowed at Ratnagiri. The private Dr Ulhas Patil medical college and hospital at Jalgaon has also been permitted to increase its seats from 150 to 200 (as reported by PTI).